​On loan Newcastle midfielder Jack Colback has admitted that there is almost no chance he will play for his hometown club again, regardless of Rafael Benitez's future. The 29-year-old still has one year left on his contract with the Magpies but has spent the season on loan at Nottingham Forest in the Championship. Colback's end at St James' Park did come as a shock to the player and with Benitez still in charge his prospects of returning look very slim. However, his current loan club are understood to have an option on making the loan permanent but Colback admits it may not be as straightforward as the deal going through at the end of the year. 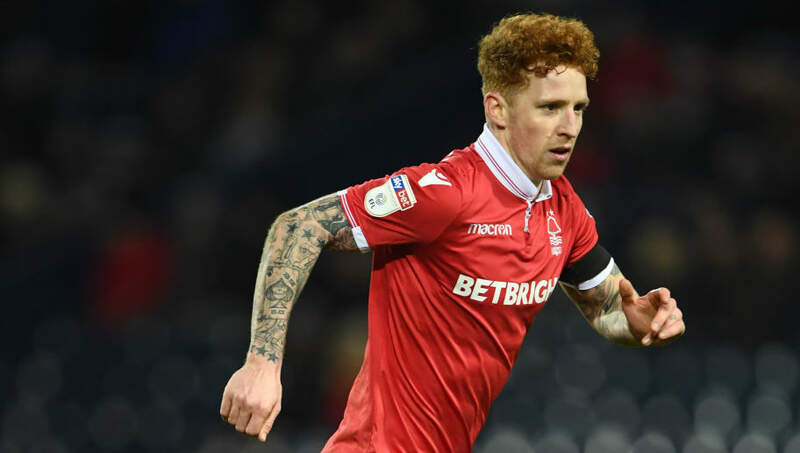 Martin O'Neill, who recently took over the role as manager of Nottingham Forest, may have a decision to make regarding the midfielder's future. In an interview with Nottingham Live, Colback revealed his thoughts about future possibilities. He said, “I have a year left on my contract at Newcastle. When I saw the reports that said I was out of contract, I had to check with my agent that I did have a year left." “It is not as though I am looking at it and thinking that I will go back to Newcastle and try to get back in the team. I am realistic enough to know that, if the current manager is still there, I am not going to be playing." “I am not sat here thinking that things might change if he [Benitez] goes – the way I am looking at it is to think that I haven’t played for the club for two years and it is unlikely that I will do again. But you move on. I had the chance to come here and it was nice to have a full season; I feel as though I have done okay. My confidence has come back a little bit." Asked whether he’ll stay at Forest he said, “I have had a lot of people ask me that and it is a tough one to answer. If you ask me if I would like to come back and sign permanently, the answer is yes. It is not as easy as that in football. Forest themselves have to commit to a permanent deal. Then you have to work out that deal. It is not as straightforward as a yes or no."  "Mentality will be key on who gets in there and momentum is a big thing as well." Despite the uncertainty, Colback will have to try and focus on the remainder of the season and finishing strongly under Forest's new manager Martin O'Neill. Next up for the Reds is a trip to Ipswich where they will be looking to close the gap on the play-off spots above them in the table.